Happy Thursday! 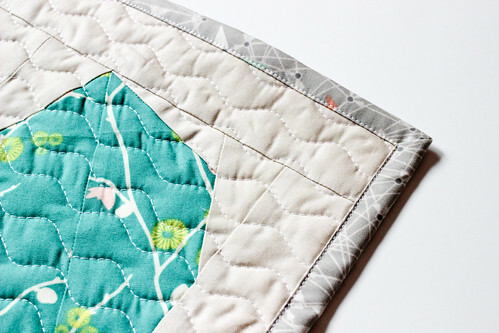 Another week, another mini quilt! We're down to the last two! 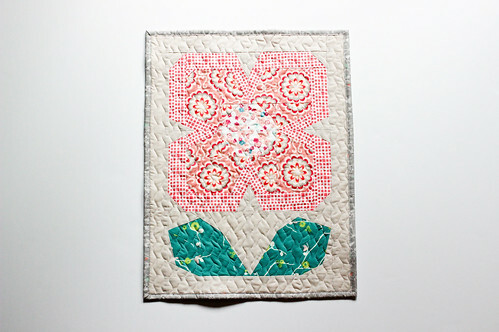 Today's mini quilt was made for my friend Deedrie! 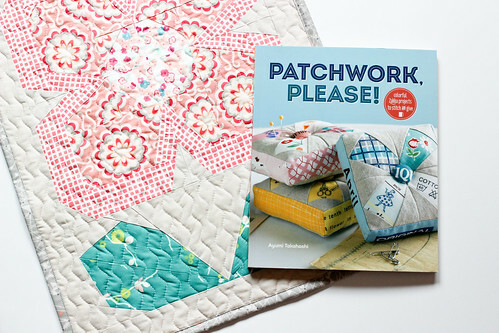 The Swedish Blooms Quilt in Ayumi's book, Patchwork, Please! is one of my favorite patterns to pop up in the last year or so. It is sweet, and has such a Scandinavian modern feel to me. I had been dreaming of stitching one up in Nordika, but I never found the time. 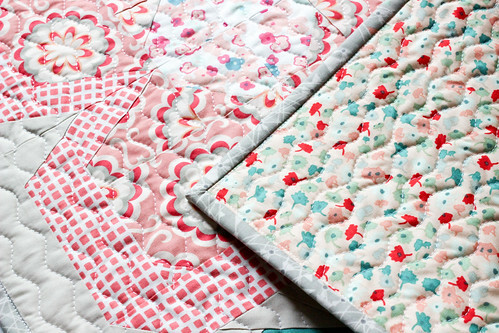 So, when it came time to make Deedrie's mini quilt, I decided to finally try one of these blocks! It had been a little while since I had done any paper piecing, so it was lots of fun to play with that again! 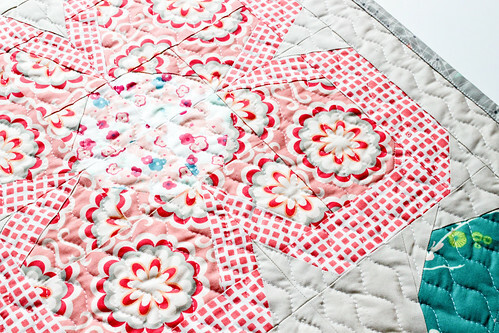 I choose soft corals, pink, neutrals and a pop of teal for this quilt. It was a nice departure from bold and bright, and I think it compliments the block well. I used the serpentine stitch for quilting, and used Aurifil 50wt thread to match. All the fabrics used are from Art Gallery Fabrics. I used a print from Rapture by Pat Bravo for the backing. The background is Sandstone Pure Element. For the binding I went with a fun print from Chromatics by AGF In-House. I love using linear prints for binding! As always, I attached my binding by machine. You can find a tutorial for the method I use here. It's easy and quick! I love your enthusiasm for Scandinavian design. Keep it coming.